Situated in Tabanan, this golf hotel is 0.2 mi (0.3 km) from Tanah Lot and within 12 mi (20 km) of Seminyak Beach and Eat Street. Seminyak Square and Double Six Beach are also within 12 mi (20 km). 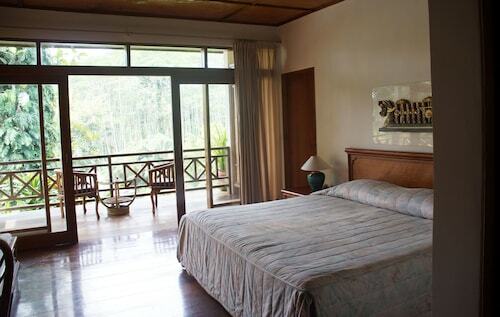 Situated in Tabanan, this hotel is within 1 mi (2 km) of Nirwana Bali Golf Club and Tanah Lot. Kedungu Beach is 2.1 mi (3.4 km) away. 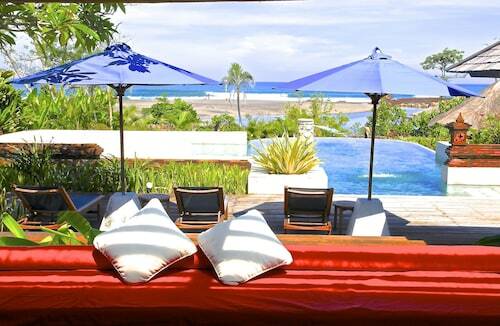 Nestled on the beach, this Tabanan villa is 1 mi (1.7 km) from Nirwana Bali Golf Club and 2 mi (3.2 km) from Tanah Lot. Echo Beach and Kedungu Beach are also within 9 mi (15 km). Offering direct access to the beach, this Tabanan hotel is 0.1 mi (0.1 km) from Kedungu Beach and 2.2 mi (3.5 km) from Tanah Lot. Nirwana Bali Golf Club is 2.6 mi (4.1 km) away. This family-friendly Tabanan resort is located near the airport, 0.1 mi (0.1 km) from Kedungu Beach, and within 12 mi (20 km) of Berawa Beach and Batu Belig Beach. Honorary Consulate of the Slovak Republik and Seminyak Square are also within 12 mi (20 km). 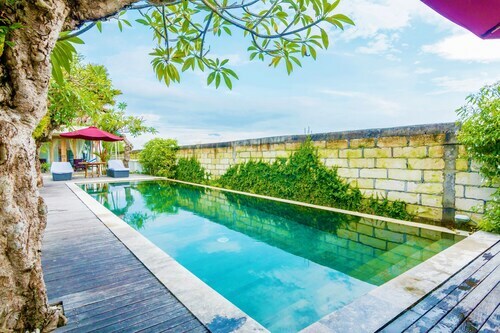 Situated in Tabanan, this hotel is 0.1 mi (0.1 km) from Kedungu Beach and 2.1 mi (3.4 km) from Tanah Lot. Nirwana Bali Golf Club is 2.5 mi (4.1 km) away. This Tabanan villa is on the beach, 3.1 mi (5 km) from Nirwana Bali Golf Club, and within 6 mi (10 km) of Kedungu Beach and Pererenan Beach. Seminyak Beach and Echo Beach are also within 9 mi (15 km). 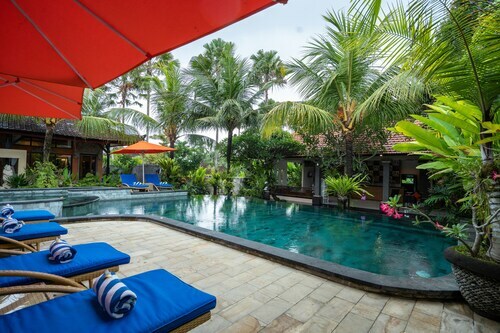 This family-friendly Tabanan villa is located near the beach, 2.2 mi (3.5 km) from Tanah Lot, and within 12 mi (20 km) of Echo Beach and Seminyak Beach. Eat Street and Seminyak Square are also within 12 mi (20 km). Located near the beach, this family-friendly resort is within 6 mi (10 km) of Nirwana Bali Golf Club, Echo Beach, and Kedungu Beach. Pererenan Beach and Tanah Lot are also within 6 mi (10 km). 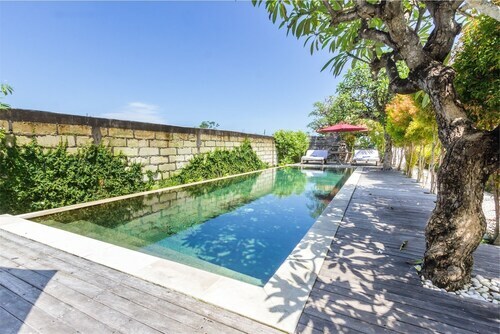 Situated near the beach, this villa is 0.4 mi (0.6 km) from Kedungu Beach and 1.8 mi (2.9 km) from Tanah Lot. Nirwana Bali Golf Club is 2.2 mi (3.6 km) away. 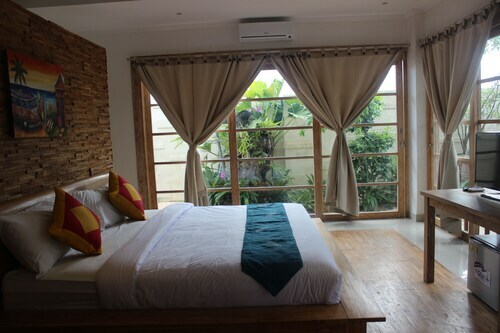 Situated near the beach, this hotel is 0.6 mi (0.9 km) from Kedungu Beach and 1.6 mi (2.6 km) from Tanah Lot. Nirwana Bali Golf Club is 2 mi (3.3 km) away. Tanah Lot has likely topped your list of must-sees for quite some time. It's located in Tabanan, 950 kilometres outside of Jakarta, the national capital city. You have access to 15 accommodations within an easy commute of Tanah Lot, so it shouldn't be hard to find something that works for you. The Kryamaha Villas (2 kilometres), the Anginsepoi Villa (2 kilometres) and the Pan Pacific Nirwana Bali Resort (0.5 kilometres) are all excellent options. Luckily, there are some nice hotels that won't break the budget. 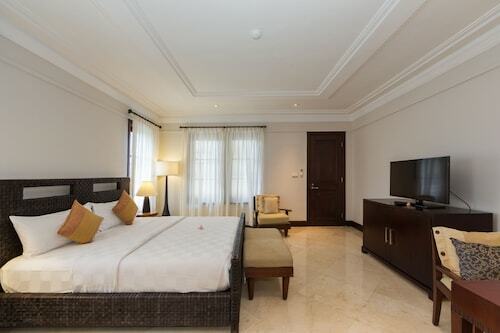 Check what the Bali Mystique Hotel and Apartments and the Grandmas Plus Hotel Legian have available. Why don't you spoil yourself and book a room at the D'Sawah Villas? It's only a kilometre away. Start off your day with a tea or coffee at Gloria Jean's Coffees Tanah Lot. Located at Beraban, it's only 0.4 kilometres from Tanah Lot. When you're searching for a feed, Dewi Sinta Restaurant (Jalan Tanah Lot, Beraban) is well within walking distance. Understand new traditions and religions at Batu Bolong Temple, a holy site for local worshippers. Master your driving skills at Nirwana Bali Golf Club, a perfect stop for die-hard golfers. Relax as you listen to the sounds of the sea at Kedungu Beach. Relax and unwind when you visit Pererenan Beach. Bring some friends, and bask in the sunshine! Grab your sunnies, hat and towel, and make the trip to Echo Beach for some fun in the sun. How Much is a Hotel Room in Tanah Lot? 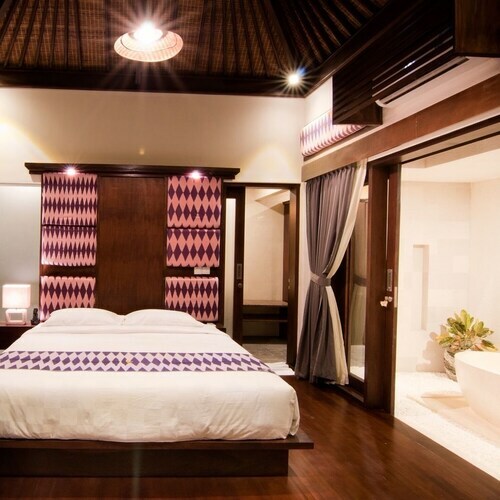 Hotels in Tanah Lot start at AU$39 per night. Prices and availability subject to change. Additional terms may apply. The Nirwana Estate was clearly very luxurious once upon a time but it is pretty much being run into disrepair now. The room we had was filthy, the furniture and bathroom fittings were falling apart, there were little or no facilities in room or available onsite (including toilet paper)… The list could go on but I would run out of characters pretty quickly. The staff seemed to want to help but there are some major issues with the accommodation and they seem to have no clue how to operate a resort and no support from anyone who does. We have a refund coming through (thanks Wotif) as it was such a bad facility/experience that we took off after one somewhat uncomfortable night. Certainly not what the website and listing promised. Incredibly disappointing. We stayed here for 3 nights and thoroughly enjoyed it!. It has a lovely outlook to the beach. The staff are lovely and very helpful. Breakfast is quite good, it's not a buffet though.